On November 3, 1934, Bannawag, a leading weekly Ilokano Magazine which is considered as one foundation of the existence of contemporary Ilokano literature, was founded. Bannawag, an Iloko word meaning "dawn", contains serialized novels/comics, short stories, poetry, essays, news features, and entertainment news, among others. Every Ilokano writer has proved his mettle by publishing in Bannawag -- either his or her first Iloko short story, poetry, or essay, and thereafter his/her succeeding works in its pages. 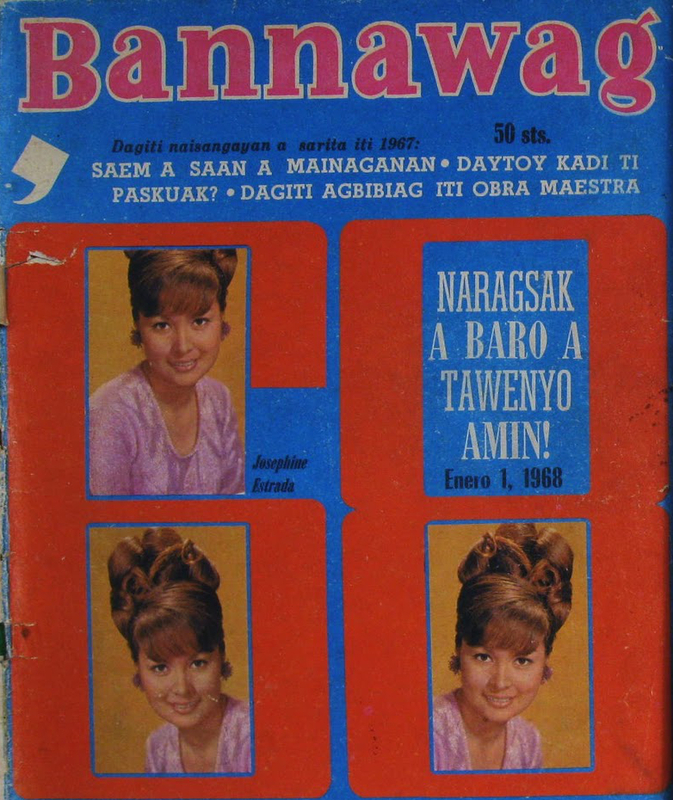 Cover of Bannawag Januaary 1, 1968 issue. 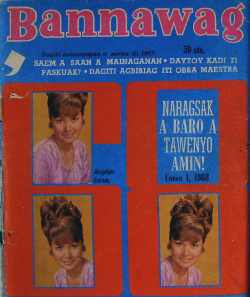 Bannawag's first issue had a production run of 10,000 copies with a selling price of 10 centavos per copy. Magdaleno A. Abaya of Candon, Ilocos Sur, a member of the editorial staff of the then Graphic Magazine, brought the idea of the magazine to Don Ramos Roces, the owner-publisher of Graphic Magazine. Roces also owned other vernacular magazines which included Liwayway, Bisaya, and Hiligaynon. Don Ramon Roces gave his consent on the condition that the first issues were only for a try-out, that after one or two months without improvement in the sales, it would be stopped. The Banaag was an instant success beyond Roces' belief. Through the years, Bannawag underwent significant metamorphosis from its content, color, quality of paper used, page layout, and other aspects to keep up with the needs of the times. 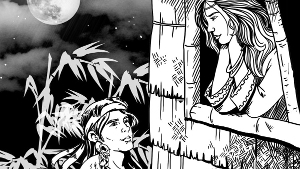 These changes made the magazine more prestigious in its tasks in bringing entertainment, information, and inspiration to millions of readers depicting the different aspects of the Ilokano character. Notably, Bannawag was picked by the Department of Education as one of the important references of the educational system in Ilocano-speaking areas in the country.